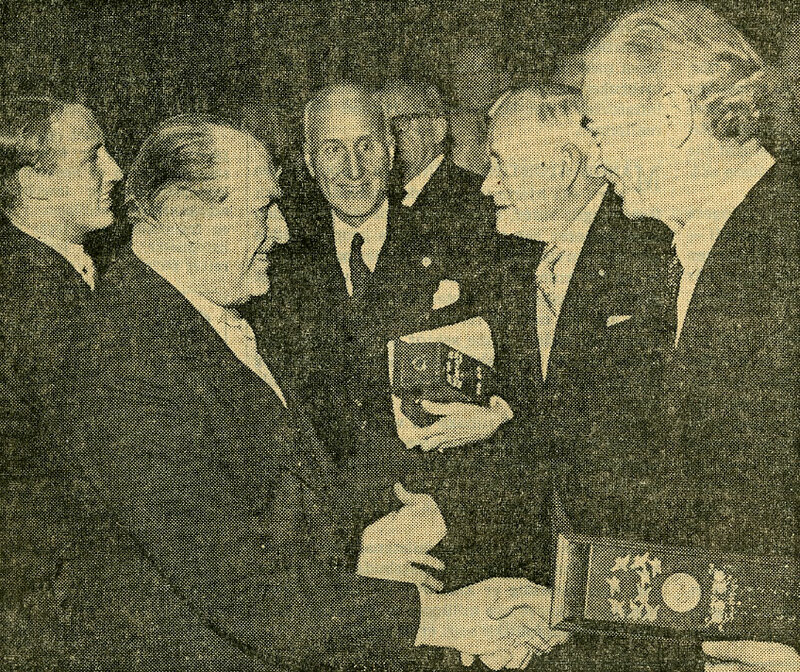 The debate over development versus disarmament of nuclear weapons was not black and white during the Cold War era. 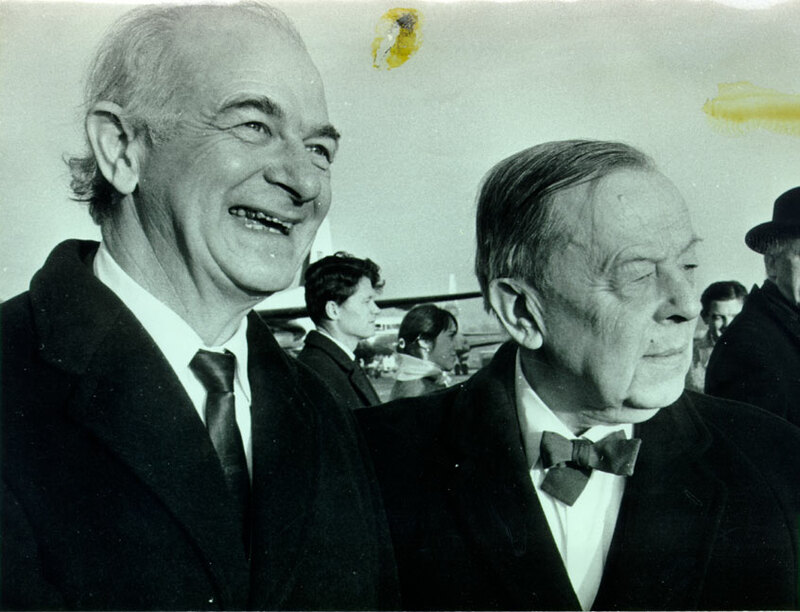 For both arguments pro and con, there existed many gray areas that both Edward Teller and Linus Pauling – standard bearers for pro and con respectively – wished to clarify for the sake of the public, as they both felt that the government was not delineating nuclear issues as clearly as it should. Numerous government agencies were established beginning in the 1940s to investigate all manner of nuclear issues, from reactors to fallout. These agencies, though all part of the apparatus of the federal government, often disagreed with one another and offered differing findings to the public. 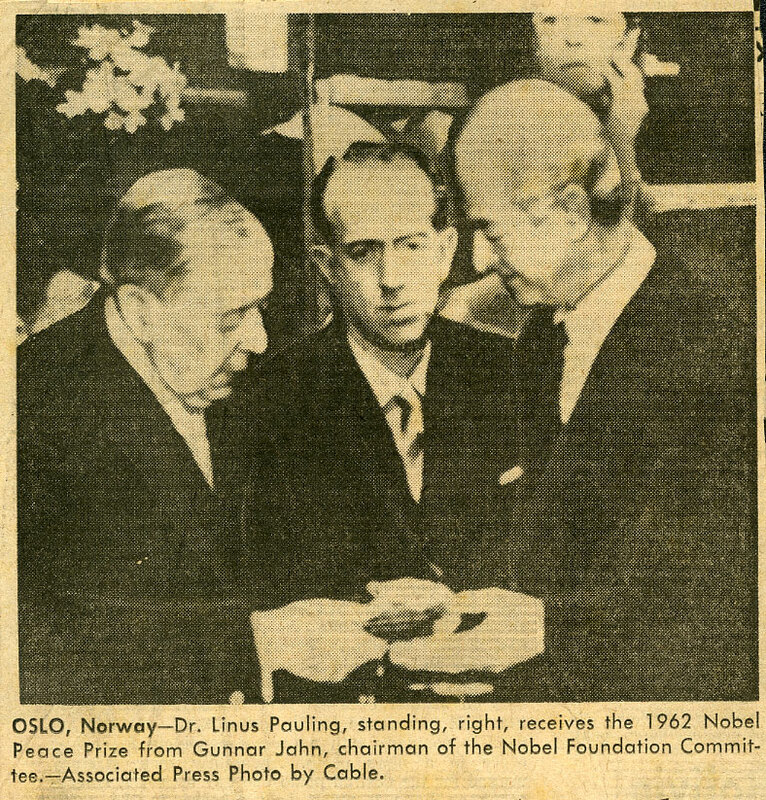 This extra layer of confusion created an additional obstacle with which both Pauling and Teller were forced to contend in their encounters with the public and with each other. 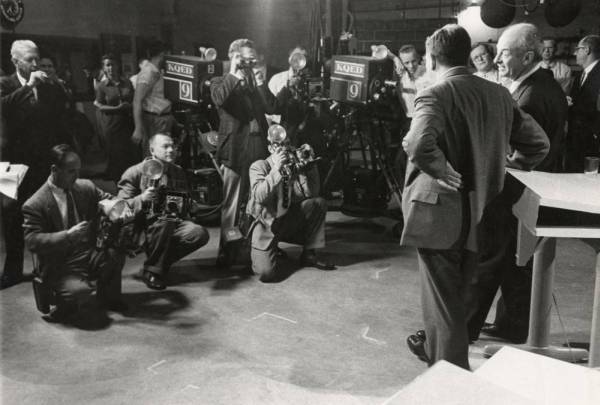 The ways in which they interpreted and presented the data differed markedly from one another and only served to heighten the conflict between the two men as the date of their televised debate approached. 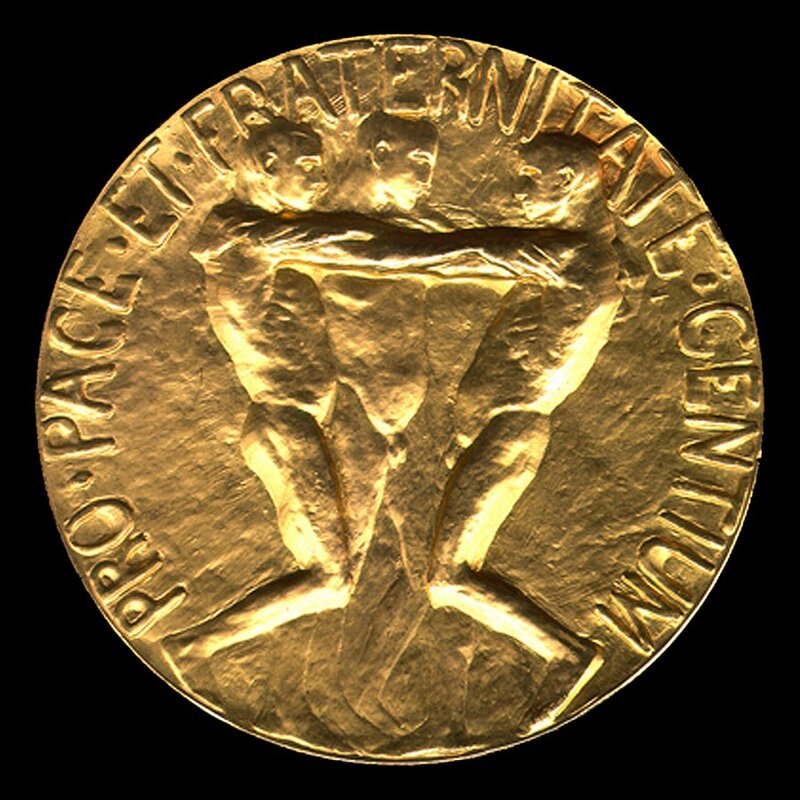 I feel that, in addition to our professional activities in the nuclear field, we should make our voices known with respect to the political significance of science. Indeed, this was a principle that would guide much of Pauling’s activity for the remainder of his life. 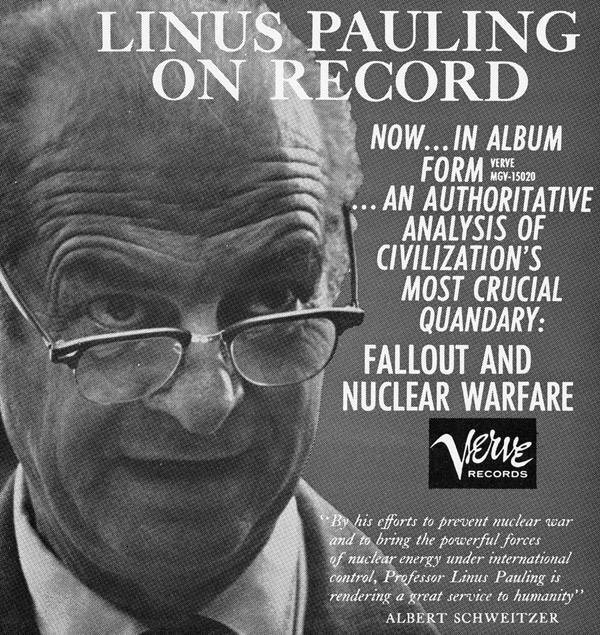 As the U.S. amped up its program of nuclear tests, Pauling began to speak out more forcefully against the government’s behavior, arguing that its actions were devastating international relations and that peace could never be achieved in a world with nuclear weapons. I think that you should stop giving lectures about atomic bombs, war, and peace. 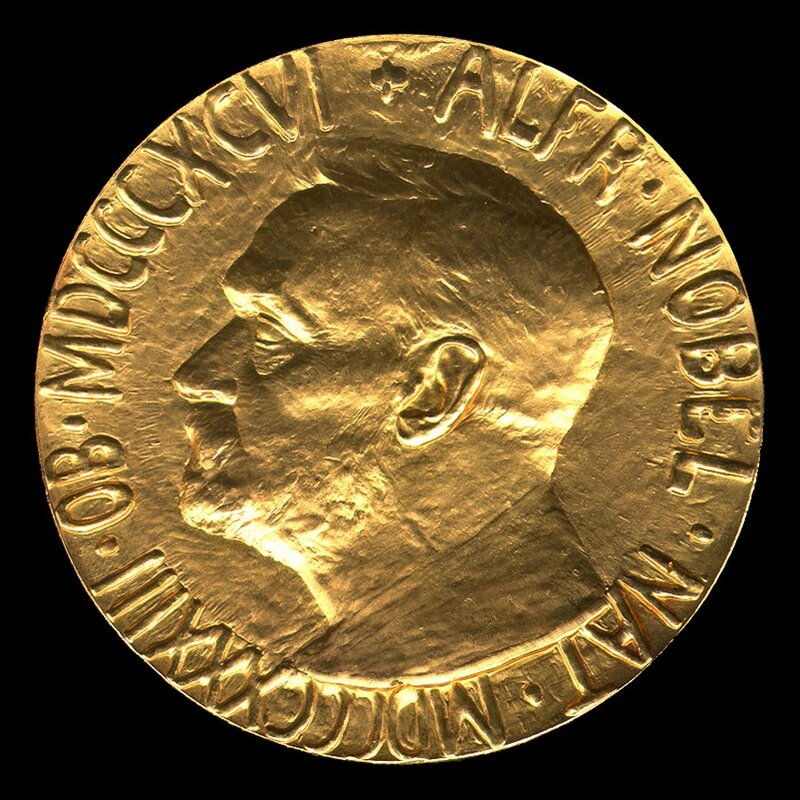 When you talk about a scientific subject you speak very effectively and convincingly… But when you talk about the nature of war and the need for peace, you are not convincing, because you give the audience the impression that you are not sure about what you are saying and that you are relying on other authorities. 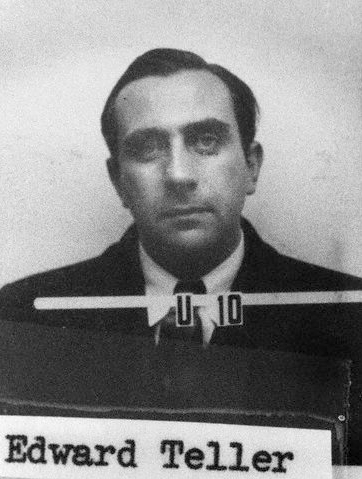 Teller’s Los Alamos identification badge, ca. 1943. 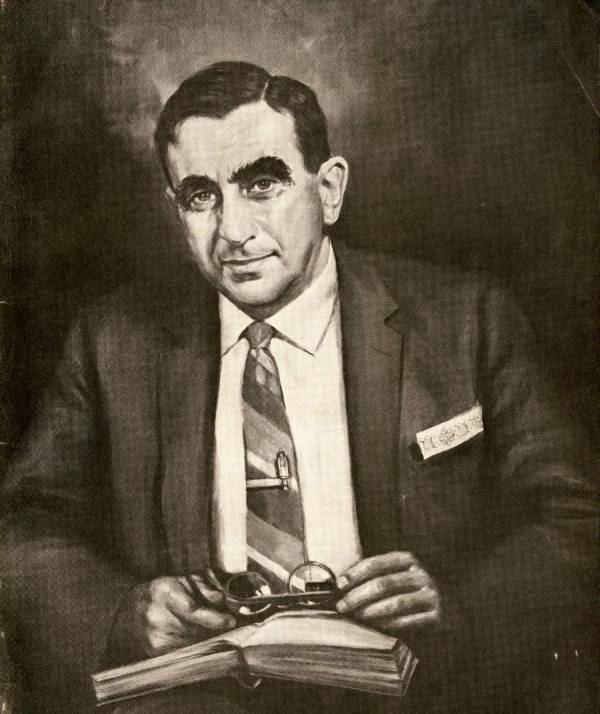 It took Edward Teller longer to involve himself directly in politics. And from the outset his position was more convoluted than was Pauling’s, though in some respects, he and Pauling did not broadly differ in their points of view. 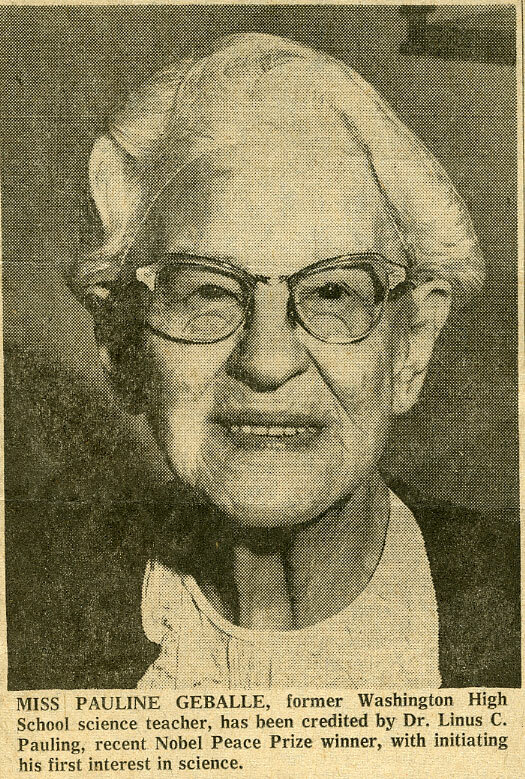 Unlike Pauling, Teller was directly connected to the work conducted at Los Alamos that resulted in the creation of the atomic bomb. 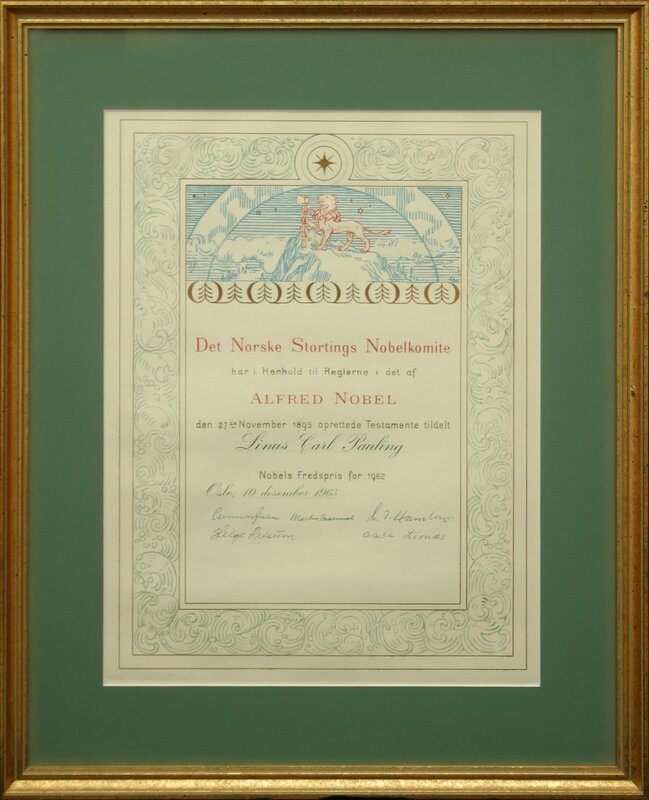 He argued that this work was crucial to ending the threat of the Axis powers during World War II. 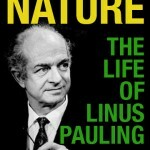 But despite his pro-nuclear stance, he agreed with Pauling’s position that scientists should facilitate discussion of nuclear issues and that they bore a responsibility to disseminate knowledge of nuclear science. 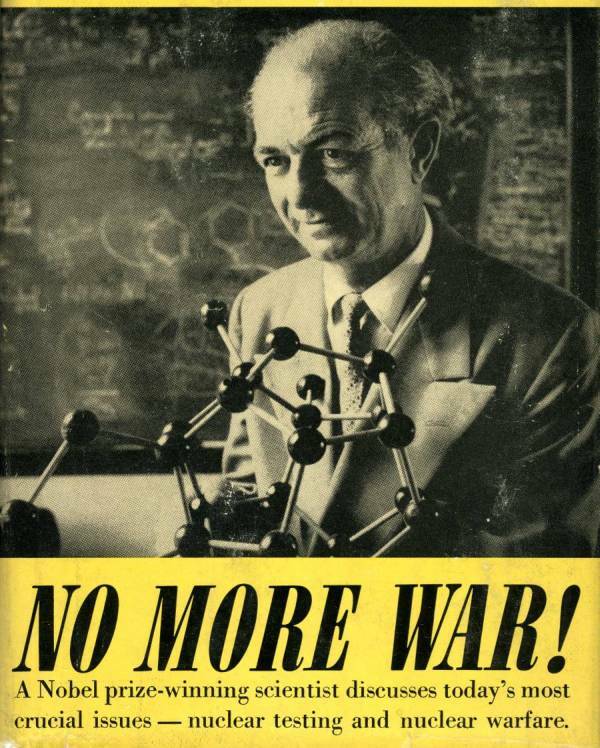 Like Pauling, Teller saw that scientists were too often underrepresented in nuclear discussions and he believed that their voices needed to be heard. 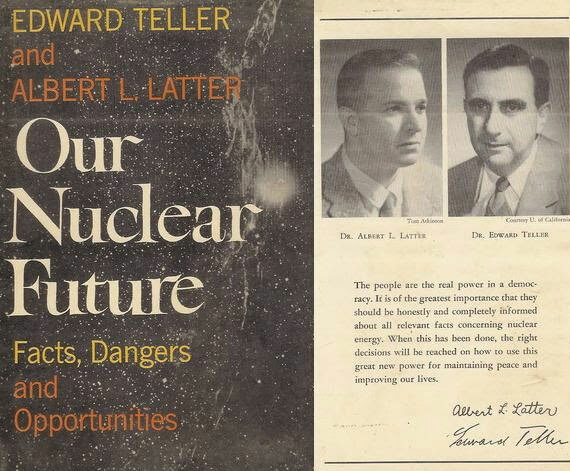 Teller likewise believed that there needed to be better communication between those who were conducting science and those who made nuclear policy decisions. 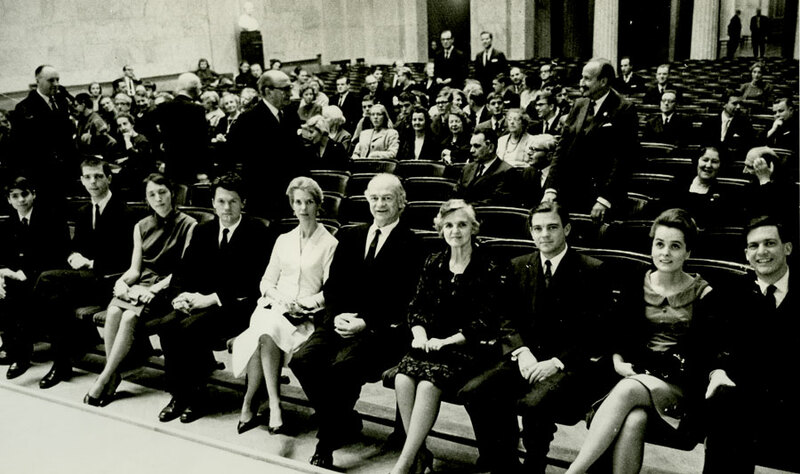 He also felt that the power to make decisions about nuclear affairs should not be held solely by government officials, but rather should involve the public as well. For Teller, the U.S. government would ideally exist as a vehicle to deliver the wishes of its people. 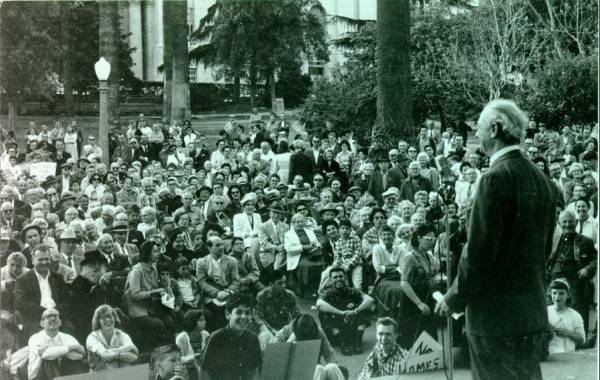 Ultimately, the public, scientists, and politicians needed to work together to come to an educated decision that aligned with what the people desired. 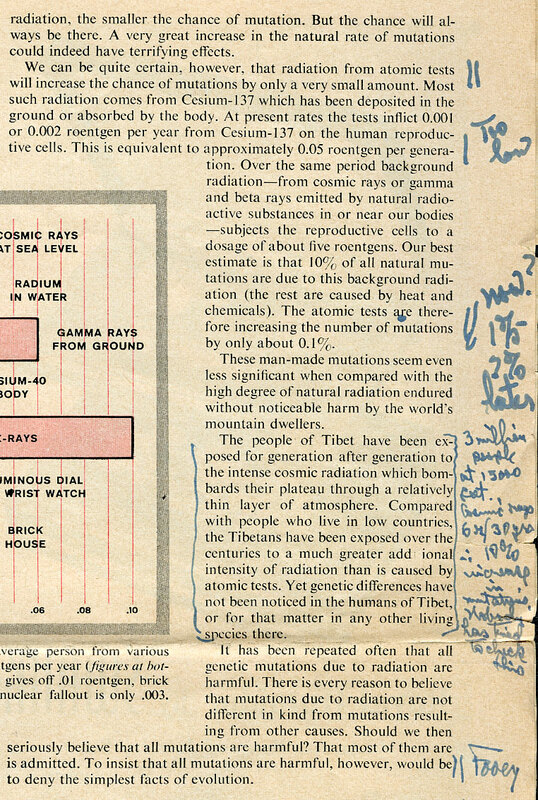 It is not the scientist’s job to determine whether a hydrogen bomb should be constructed, whether it should be used, or how it should be used. This responsibility rests with the American people and with their chosen representatives. 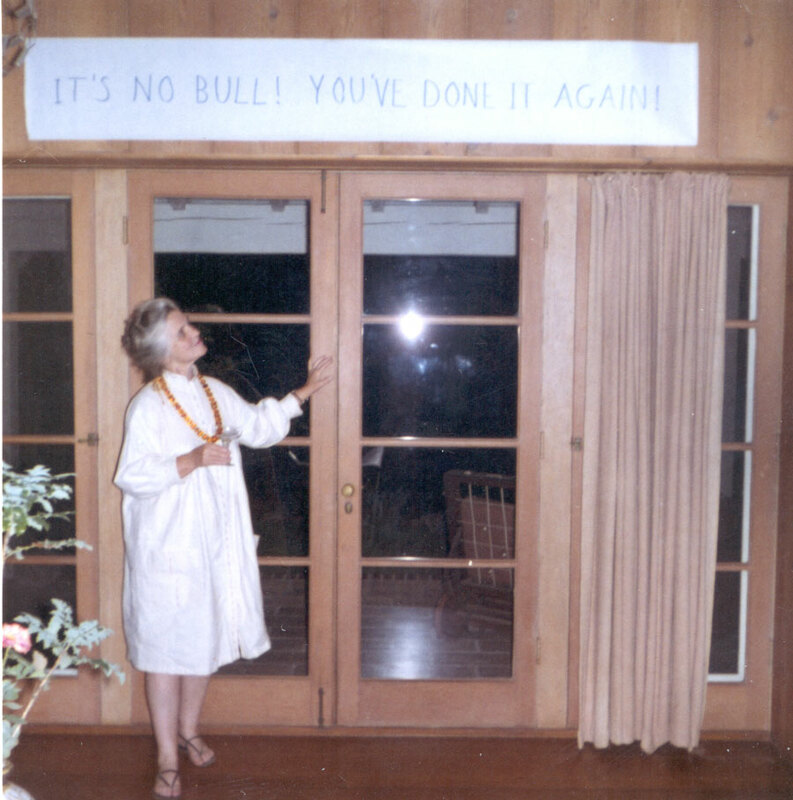 would never break out, which meant that continued development and innovation was necessary. He likewise felt that virtually every situation required its own unique weapon, and these could only be developed through continued testing. Doing so would also insure that a portion of the American nuclear arsenal would remain viable and in close proximity in case of an attack, and guaranteed that the Soviet Union would not benefit from making the first strike in a nuclear war. 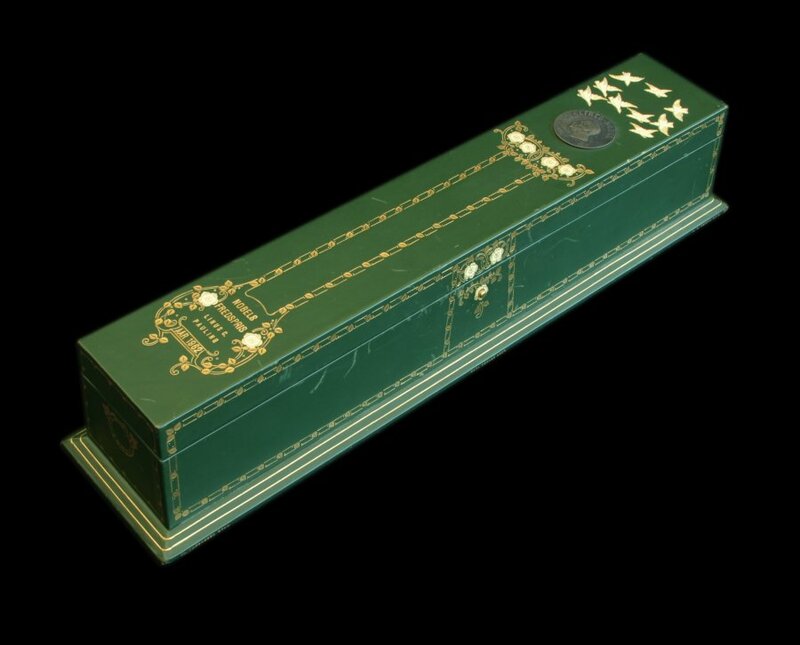 who did not believe that the purpose of his or her work was to prevent the use of such weapons by assuring the strength of our deterrent forces. 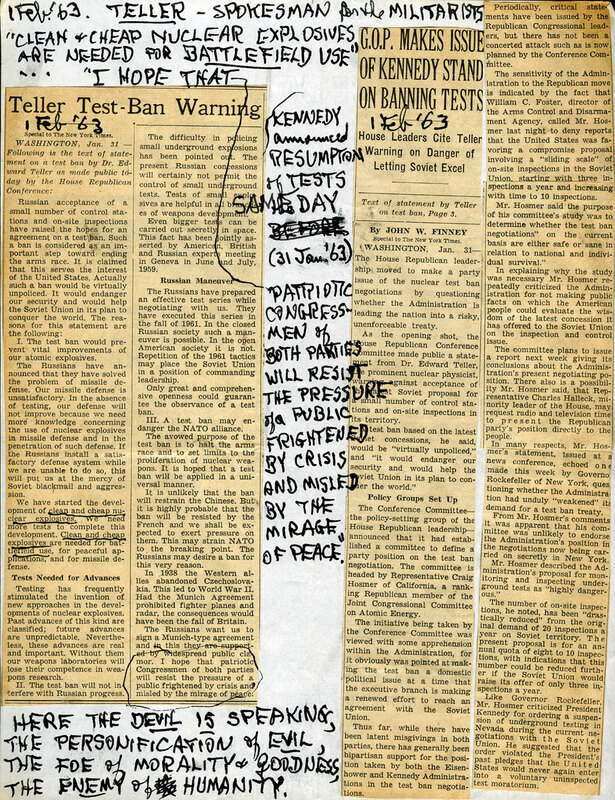 Public discussion of nuclear testing reached a crescendo in 1954 with the Bikini Atoll tests and again in 1957 when distress over the potential dangers of continued testing was inflamed by the launch of Sputnik. The successful launch of the Sputnik satellite into orbit was a prime example of Soviet skill in rocketry – and in science in general – and with it the Soviets seemed to be ahead of the U.S., thus rendering the Cold War ever more real and relevant to the American public. As the tide of the Cold War appeared to shift in favor of the Soviets, the U.S. government responded by escalating its schedule of weapons testing. 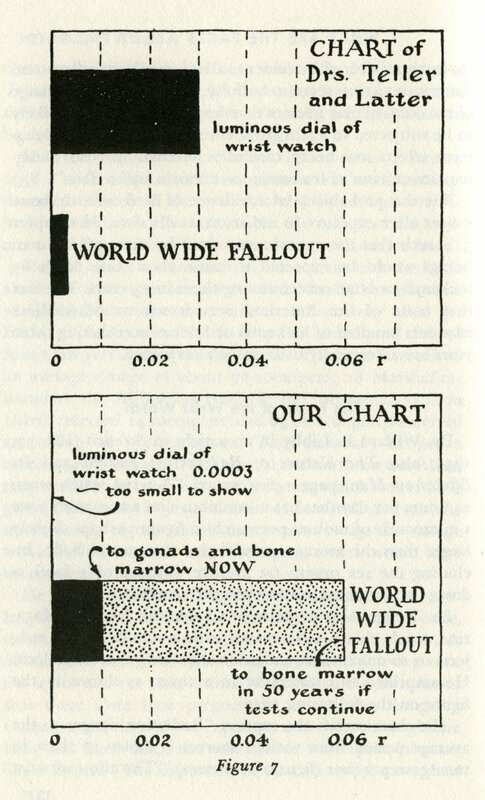 And with this change in Cold War politics, the emotional climate stateside became more fearful. 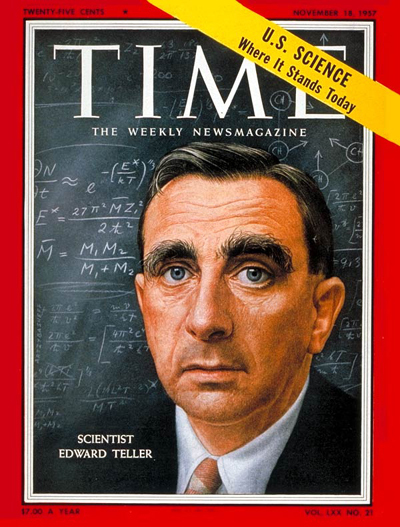 A majority of the public now seemed to favor Teller’s objectives, and the scientist himself was featured on the cover of a mid-November 1957 issue of Time Magazine. 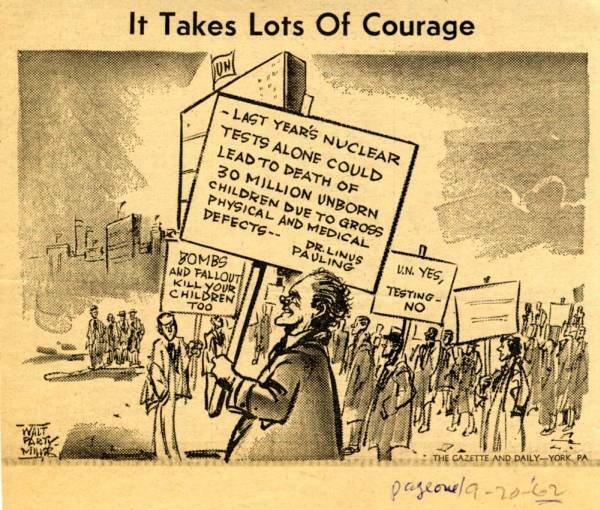 Now on the defensive, Pauling became even more alarmed when Edward Teller and Albert Latter, a fellow physicist, published an opinion piece, “The Compelling Need for Nuclear Tests,” in the February 10, 1958 issue of LIFE. 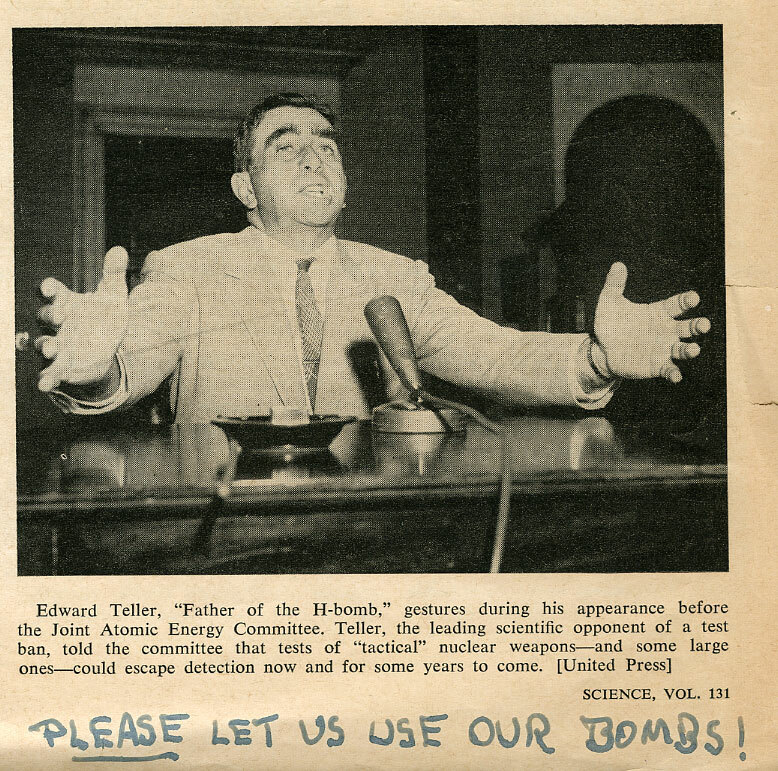 The article outlined Teller and Latter’s arguments in favor of further weapons testing, and especially the need to develop “clean weapons” that produced little or no radioactive fallout. 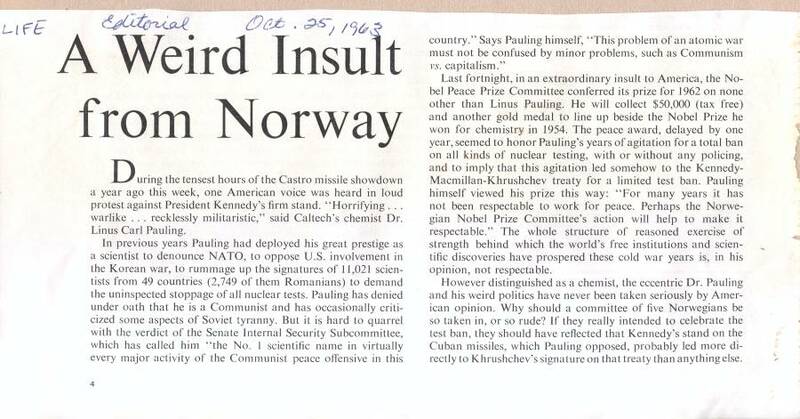 The piece also sought to discredit Pauling and the 9,000 scientists who had signed his petition to halt nuclear weapons tests. 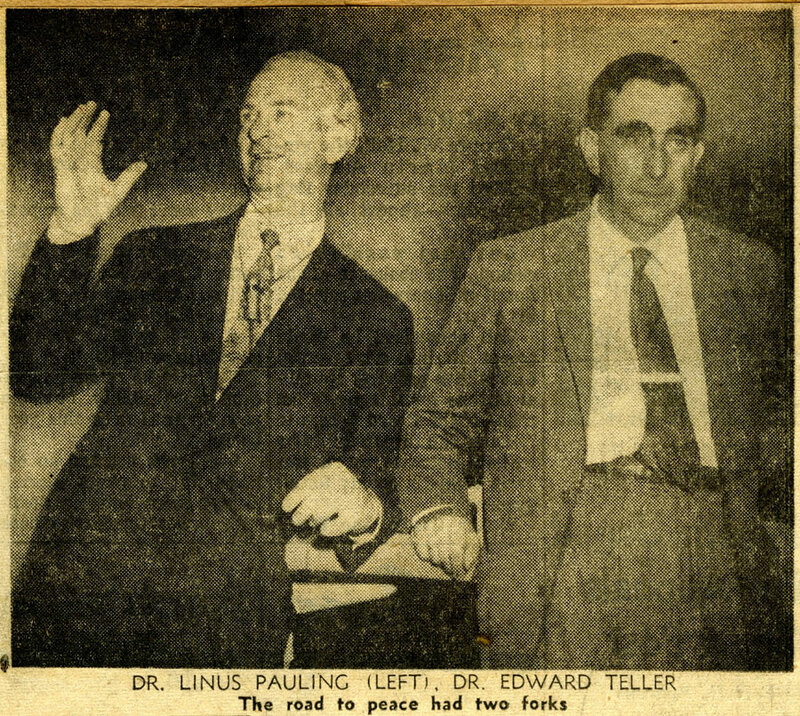 The issues that Teller and Latter presented in their article were a preview of the topics that Pauling and Teller would confront in their debate later that month and in their books later that year. 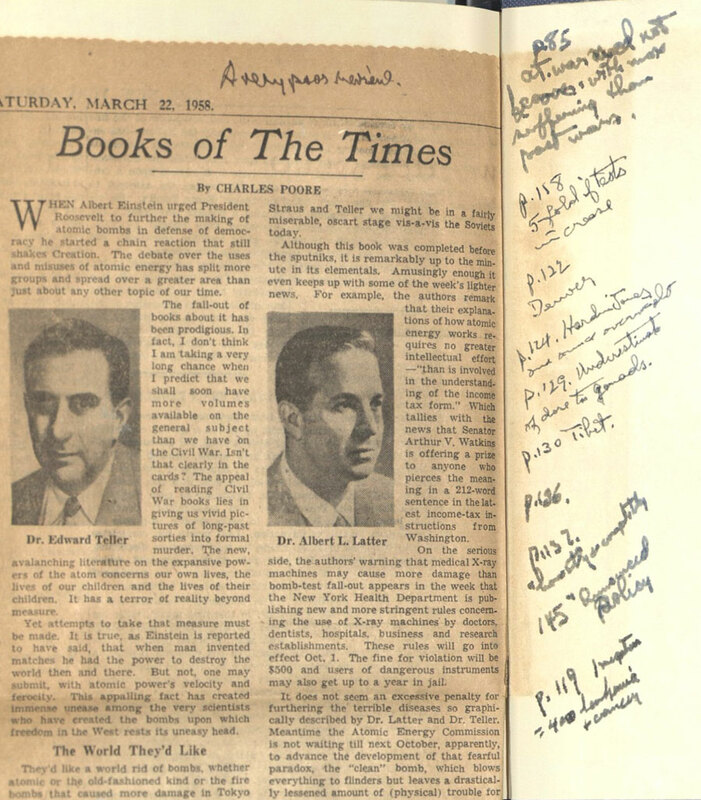 Looking at Pauling’s copy of the LIFE article, one is struck by his desire to get at the math and understand Teller’s calculations for risk. 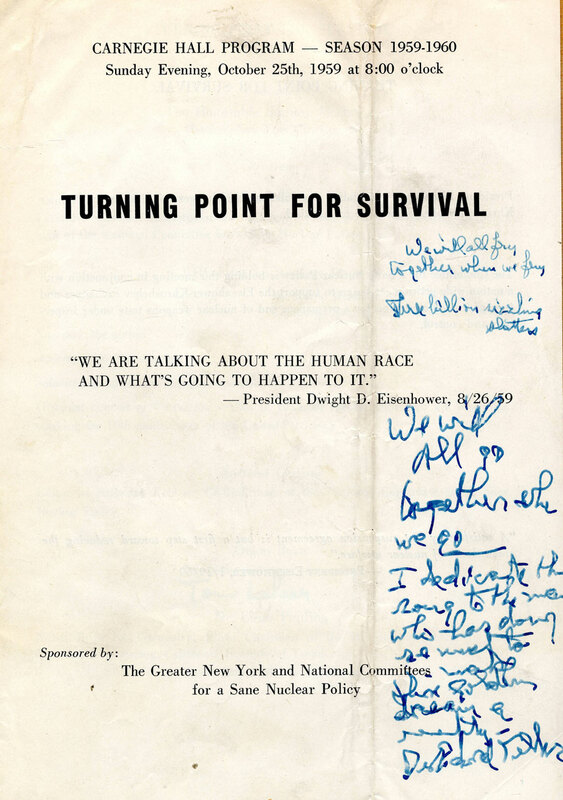 His notes also demonstrate his disagreement (and occasional agreement) with statements that Teller and Latter make. He also identifies questions needing clarification, and responses to these questions when he received them. 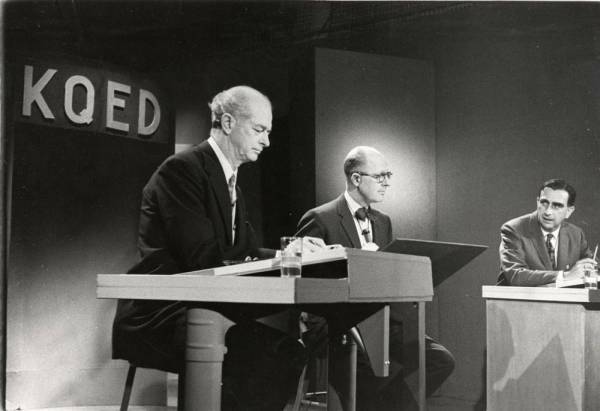 Although it is evident throughout that Pauling did not agree with Teller, as he headed toward the televised debate he clearly desired to understand the claims that Teller was making.